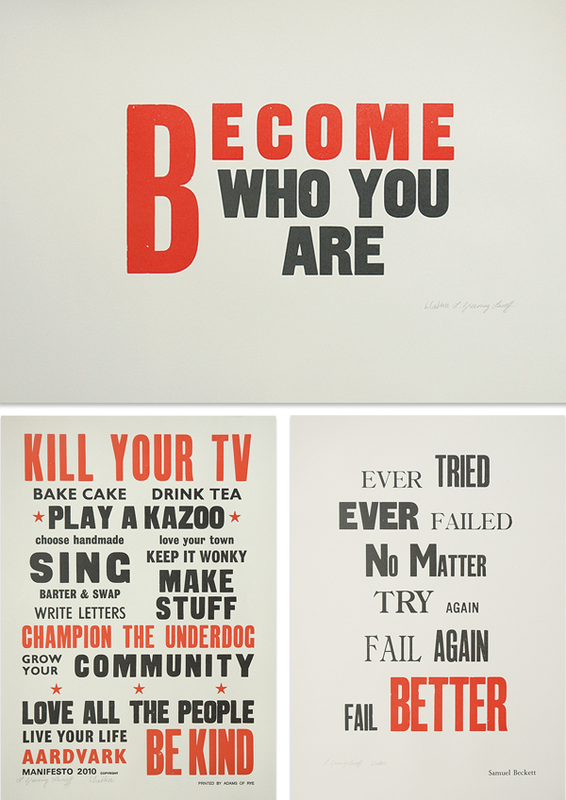 Enjoying these new bold and graphic lettterpress prints and uplifting sayings by Sussex artists Lesley and Pea over at Keep Calm Gallery. ha, just posted the same yesterday! ;) always love those quotes! Love them! I'm a big fan of quotes as well. Thanks! one of those would look perfect over my desk! i have a little inspiration collage and i would love to add on of these! i'll have to go and check them out. thanks for sharing! !